Today I found out that 165 University Avenue, Palo Alto, California is generally considered the “luckiest” building in Silicon Valley to rent as a startup company. 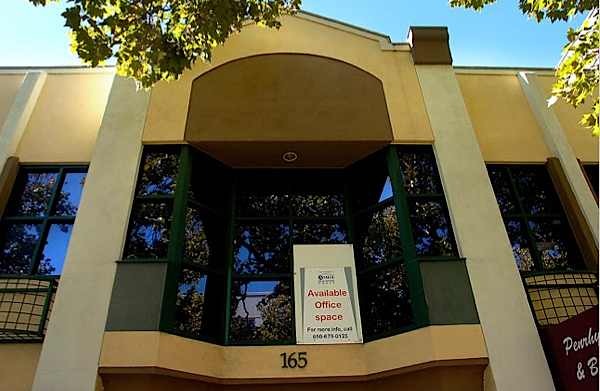 Located near Stanford University, 165 University Avenue has seen a surprising number of highly successful startups come through its doors in very recent history. The first famous tenant was Logitech, a now world famous producer of computer input devices. Then one after another came Google, PayPal, the mobile phones developer Danger Inc., and the shopping service Milo.com. The latter two being not quite so well known as the former three, but none the less very successful. Danger Inc. was acquired by Microsoft in 2008 for a rumored half a billion dollars and Milo.com was acquired by eBay in 2010 for a cool $75 million. Interestingly, Facebook attempted to rent this building on a five year lease, but were rejected. Since the 1990s, this simple looking two-story building has been owned by a family of Iranian immigrants, the Amidis. Saeed Amidi and his family escaped from Iran in the 1970s during the Iranian revolution. The family subsequently opened a Persian rug shop in Palo Alto, hoping to capitalize on the number of wealthy people in the area near Stanford, particularly people who’ve just become wealthy, as they often need rugs when buying new houses and the like. Saeed Amidi himself is quite the successful entrepreneur, not only managing this particular building but also co-founded Amidi Group, which has grown since 1980 to managing assets across the globe in excess of $250 million. He also was one of the first investors in Paypal after they became one of his tenants as well as Danger Inc.
Google particularly saw rapid growth while in those hallowed halls. When they first moved into their offices there, the company had just six employees. In less than a year, Google had ten times that number of employees and were subsequently continued to grow at a remarkable rate. YouTube provides this location as the example address when setting the location of an uploaded video. Today, this building houses Yummly, which is a semantic web search engine for cooking. It provides an easy way to search recipes in a variety of ways such as searching based on ingredients available, allergies of the people partaking in the food, diet, time available to cook, etc. Over time, they state their engine will learn what you like and so, as you use it more and more, will get better and better at suggesting recipes you’ll love.